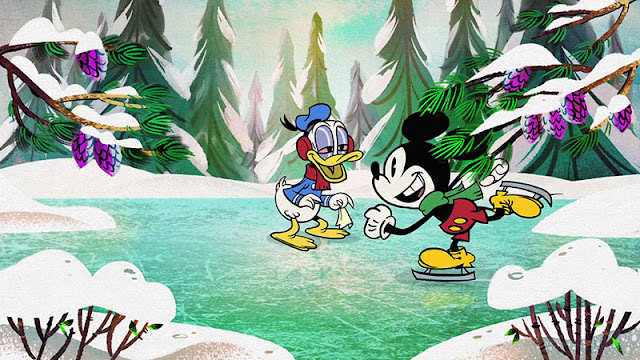 After a little break (about half a year now) from the animated Mickey Mouse series, we got a Christmas special earlier this month. Originally intended to be a short episode in the main series [Huffington Post interview] this episode was instead developed as an extended 21 minute special. I haven’t heard any official confirmations about a new season of shorts, but they are working on another Halloween special for an October 2017 release. In this special episode we learn that Disney ducks also migrates south to warmer climate during the winter. 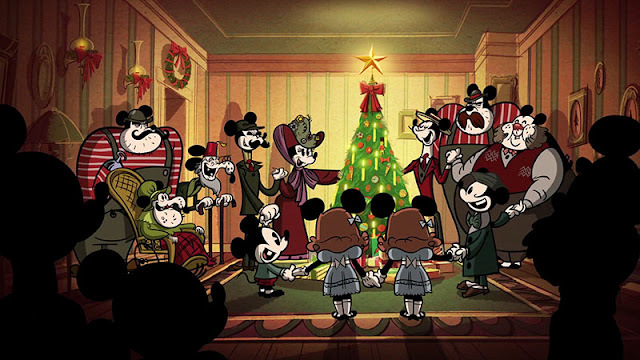 When Mickey, Goofy and Minnie starts to prepare for Christmas, Donald decides to stay with them to experience the holidays – leaving Daisy to travel south by herself. One interesting thing to note is that Huey, Dewey and Louie are not together with Donald when they are about to travel – instead they are already present down south with Uncle Scrooge when Daisy arrive. Also present down south is Gus Goose. I think this is the first time we’ve seen him in the new Mickey Mouse series. 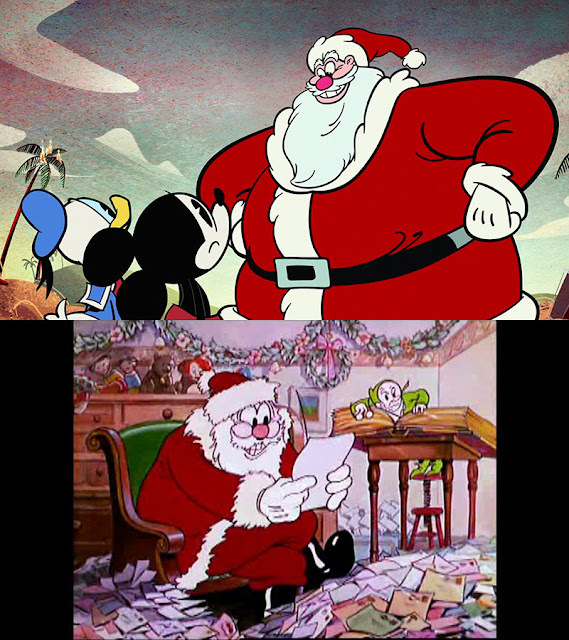 His character design looks closer to the "classic" look seen in old animation and in the comics than the rest of the gang. There are a lot of other interesting things to note in this special too. 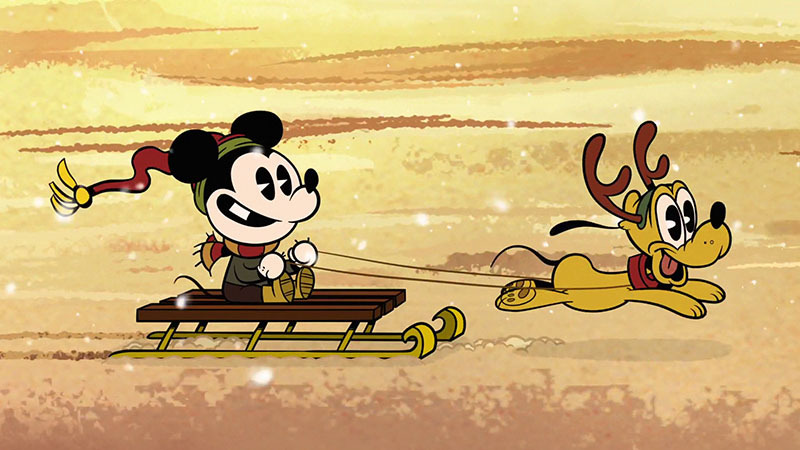 We get a flashback scene with Mickey as a kid and Pluto as a pup. We also see the house Mickey lived in as a kid, with a silhouette of Mickey’s parents. We don’t get to see their faces, but we see them again as a silhouette together with the rest of the family. And we also get the names of some (to now) unknown family members. 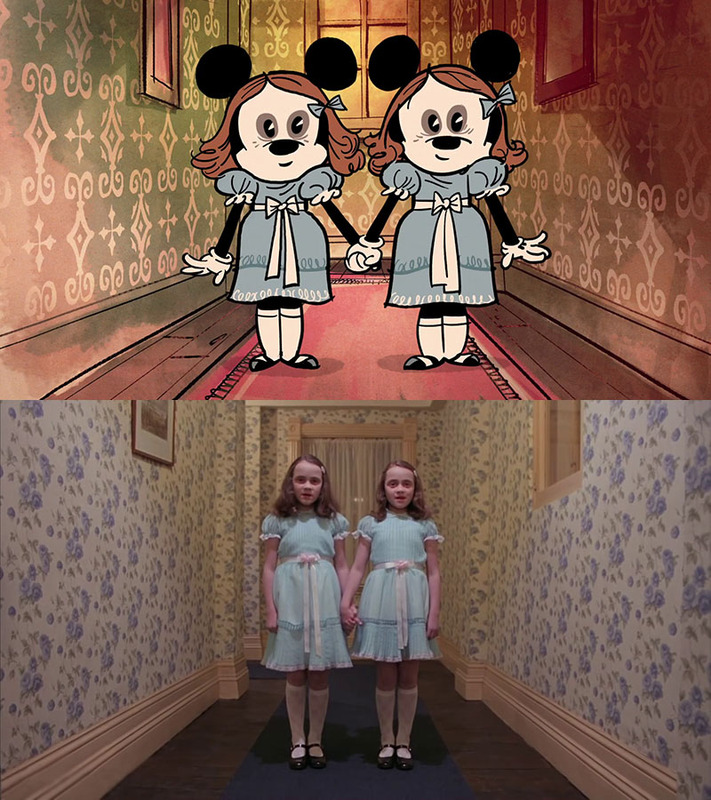 If you’ve seen Stanley Kubrick's movie The Shining you might recognize the twins. 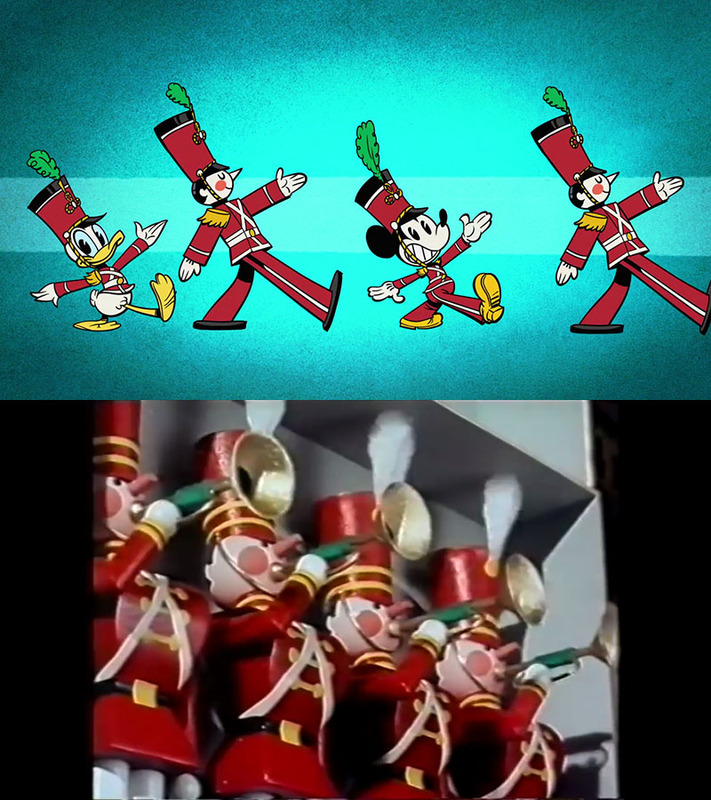 The toy soldiers are modeled after the ones in Babes in Toyland (1961). 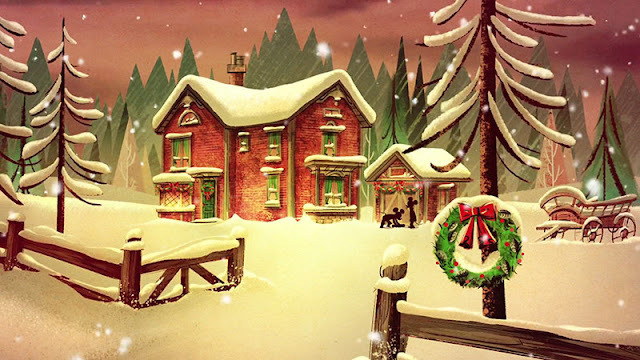 Santa Claus looks like he’s modeled after the Santa in Santa’s Workshop (1932). 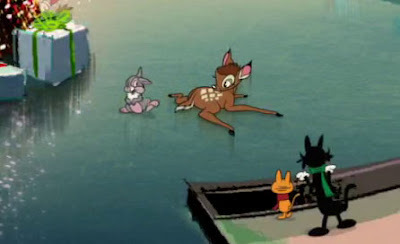 And there's a cameo appearance of Bambi and Thumper on the ice, a reference to the ice skating sequence in the Bambi movie (1942). And is this a Darkwing Duck reference?? 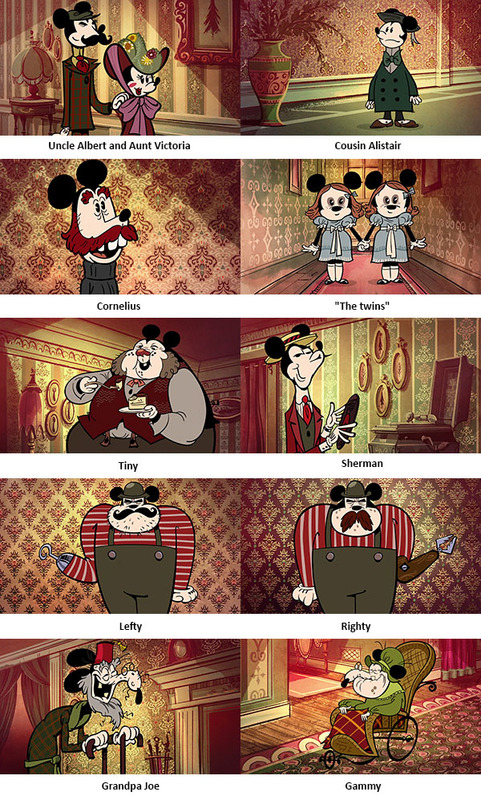 Anyone spotted any interesting references I missed? 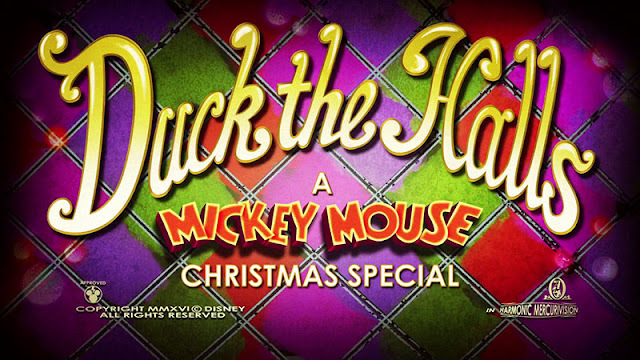 "In this special episode we learn that Disney ducks also migrates south to warmer climate during the winter": what? I haven't seen the special yet, but does it really portray Donald and family as being real ducks who must migrate south during the winter, rather then being basically humans drawn as ducks? If so, then I think this is a huge mistake, and shows poor understanding of the characters. 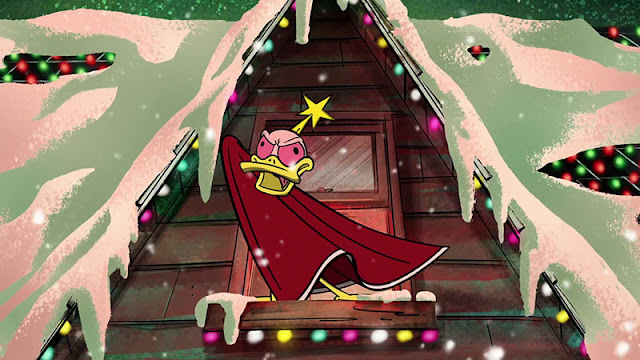 It's also a bad idea to have HDL be there with Scrooge before Donald. Did DuckTales influence the producers to the point they think the boys live with Scrooge rather then Donald? I hope not. Good to see Gus again in animation, tough I imagine he is not living with Grandma Duck and is still different from his comic book version. I'm glad they have Mickey live with his parents rather then with some uncle, tough it's bad to see young Mickey with Pluto, whom he won't met until years later. I'm sure the creators know that lots of stories with Donald during the winter exist. 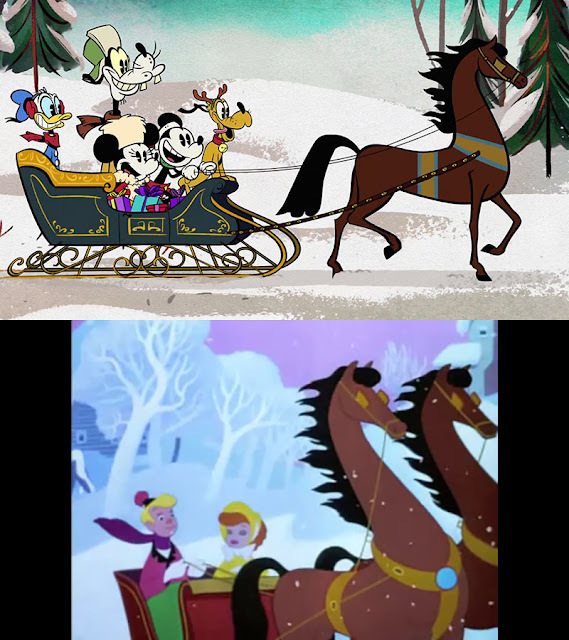 Episodes in this animated series can't be seen as part of a big continuum or being "canon" – they are just individual slapstick stories having fun with the characters (Goofy was a zombie in one episode). 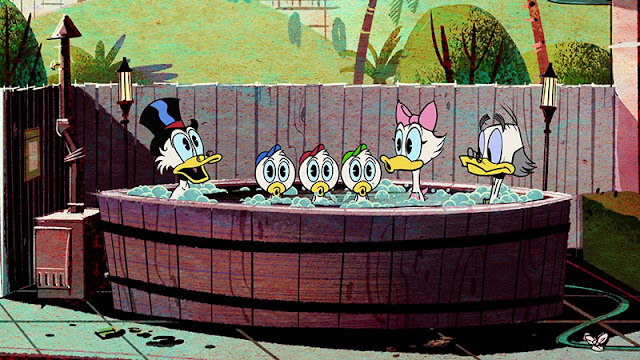 About Huey, Dewey and Louie, I can't remember if we have actually seen them before in this series either (if so it can't be many episodes) – but we've seen Donald in lots of episodes. We don't get to know if they are staying with Scrooge, but they are about to hit the beach with him when we first see them. 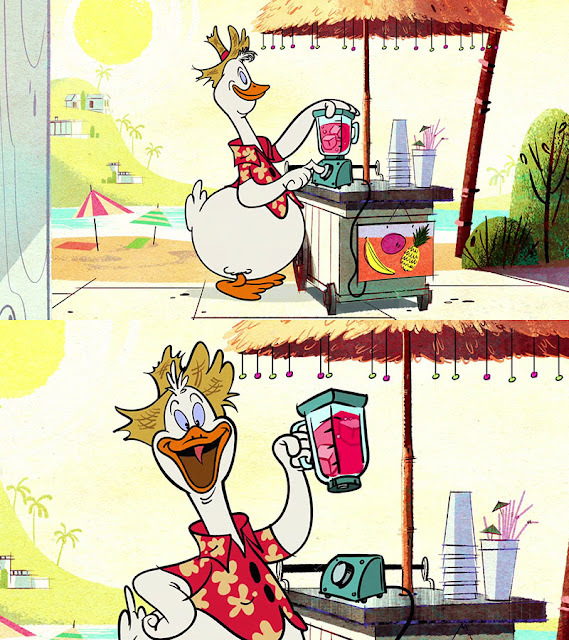 Gus doesn't have a big role in this special, we just see him making a tropical smoothie with no Grandma in sight. But based on this we can't really say if he is still living on Grandma's farm or not. If the creators know there are many duck stories set during the winter, good for them, but what's the point of sayng (if that's what was said) that they must migrate south? In my opinion, no matter how slapstick a series is or how little continuity there is between episodes, there has to be a line to be drawn somewhere, otherwise we may soon get a story where Donald and Scrooge must hide themselves from hunters (Duffy Duck-style). That's not what Disney Ducks are at all, but I guess I shouldn't judge a series before seeing it. According to Imdb, the Nephews only appeared in the episode "No" (8 January 2016) and this one.